A hypnosis based weight loss process that breaks the “on a diet” / “off a diet” cycle to create long term success. Shift targets your brain at the deepest level to end old patterns of behavior, build healthy new habits and transform your life. “[Rita’s] extraordinary sessions reach your subconscious, help get rid of the negative chatter and are life changing…yes, life changing!” — Susan, released 35 lbs. I am so glad you have found the Shift Weight Mastery website. I hope you find the resources and information helpful in creating your own journey to weight mastery. At Shift we know that overcoming the struggle with your weight doesn’t start on the plate or in the gym—it begins in your mind. The Shift Weight Mastery Process is designed to SHIFT you from Fat to Thin Thinking in 30 Days. The Shift Weight Mastery Process is not another diet. It is a transformation of thinking and behavior, at the deepest level of your brain. And it’s surprisingly easy. Just 20 minutes per day for 1 month will Shift you out of the old limiting beliefs and behaviors that are keeping you in your weight struggle and into new healthy thoughts and habits that make living life at your ideal weight possible. For the last twenty years, I have been a clinical hypnotherapist and expert in the psychology of weight management. I have helped people stop the struggle with their weight and achieve long term permanent weight release with the hypnosis based Shift Weight Mastery Process. In 2007, after years of working with clients and studying mental and behavioral research of people who have taken weight off and kept it off, I created the Shift Weight Mastery Process. This cutting edge weight management program uses the mental tools of hypnosis, meditation, and cognitive coaching to help clients recode their habits, thinking, and beliefs into those of “Weight Masters”—people who have taken weight off and kept it off. WHY AM I STILL STRUGGLING WITH WEIGHT? The main reason we struggle with weight is not really our personal fault, even though our continual struggle makes us feel like a failure. The answer lies in the way the mind is set up. Your mind is divided into the conscious and the subconscious mind. 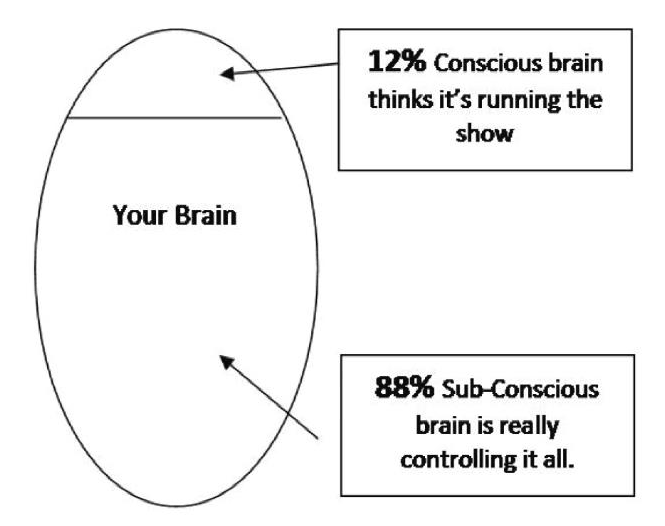 This is our analytical mind, the neo-cortex, the “willpower” brain. This is the part of our deeper mind where our habits, beliefs, memories and creativity exists. This part of the mind will fight hard to go back to your old way of behaving—even if it means gaining weight. What happens when we go on a diet? 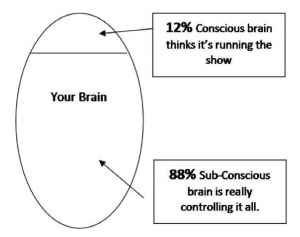 The 12% willpower brain gets us started “being good”, but eventually, sometimes sooner, sometimes later—that 88% mind pulls us into the same old “bad” behaviors. That is why diets don’t work in the long term. Hypnosis is a relaxed mind technique that allows the resistant-to-change subconscious mind become open to ideas of change. In the state of hypnosis, suggestions can be given to the deeper mind and begin to focus the mind towards new beliefs and habits that are in line with weight release and mastery. With hypnosis, you are able to have the power of 100% of your mind working with you to release weight and keep it off permanently. HOW DO I BEGIN TO SHIFT? In the first 30 days, new habits form and start feeling like normal behavior. And it takes as little as 20 minutes per day. We offer the 30 Day Process in several formats, tailored to fit different lifestyles – from private in-person sessions, to seminars, to a take home program. Not ready to commit to 30 days?